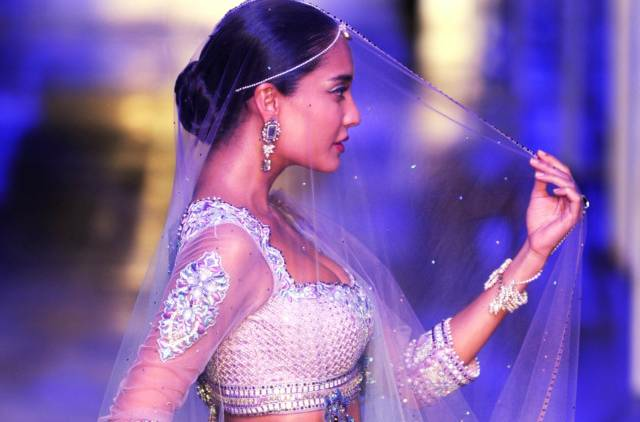 The two final days of India Bridal Fashion Week showed four different collections, but two really caught my eye - Suneet Varma's 'The Golden Bracelet', and Tarun Tahiliani's grand finale show. 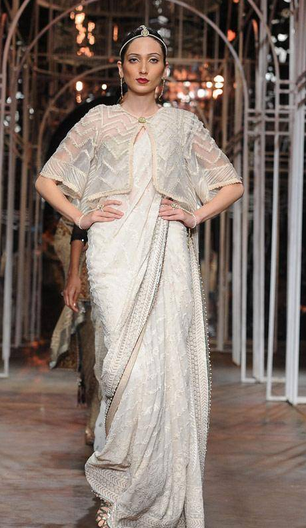 A beautifully done collection inspired by the Romans, Suneet Varma used different styles of draping, elegant embroidery and gorgeous accessories to fuse together the Indian and Roman culture through fashion. 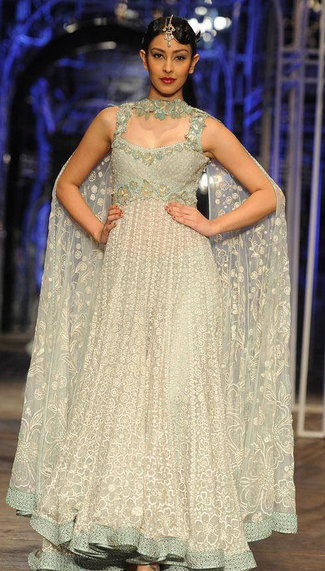 The femininity of the pieces can be seen through the light pastel colours, emphasized waist lines and gorgeous jewellery. Never one to let down, master couturier Tarun Tahiliani showed a stunning collection on the final day of India Bridal Fashion Week. Using pearl embroidery on feminine fabrics and working with a variety of colours, there seems to be something for everyone. Though it's a bit difficult to see what the theme is or where the inspiration comes from, the pieces are gorgeous and range from something for the simple bride to something for a more extravagant bride. I'm absolutely wow'd by these collections! 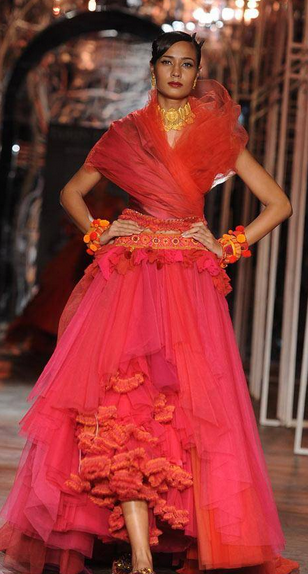 Want all of these pieces especially the first peach colour anarakali by Suneet Varma. Do you have a preference?